Welcome to the ninth episode of the Fader podcast, a production of CreativeLive’s Music and Audio Channel. On this podcast, I have the opportunity to sit down with producers, engineers, bands, players, songwriters or pretty much anyone who is doing something cool in the studio or on stage. Aaron Marsh is one of my favorite producers. 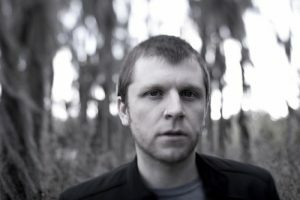 Not only has he worked hard crafting a handful of beautiful indie pop albums with his band Copeland, but Aaron has also gone on to create a body of work with bands like Anchor&Braille, Poema, and Estates. His records, like those with Copeland, are full of lush vocal harmonies and elegant string and orchestral arrangements that draw attention to the song and the lyrics. We talked about learning from great producers and engineers like Aaron Sprinkle and Michael Brauer, the process and workflow of recording and how a producer can make sure the song remains the focus of the recording process.